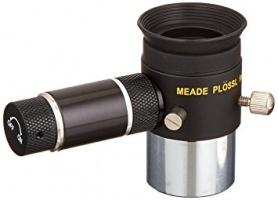 This is a high-quality Antares 1.25 25mm Plossl eyepiece with focusable crosshairs (single), perfect for alignment and tracking. 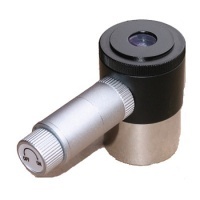 To obtain razor-sharp focusing of the crosshairs, merely turn the upper part of the eyepiece. 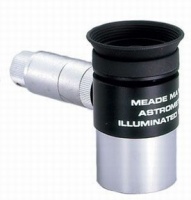 Meade 12mm Astrometric Wireless Eyepiece 1.25"
A high-precision eyepiece for a wide range of astronomical measurements, the Meade MA12mm Astrometric Eyepiece is an important tool for the advanced amateur.